The team behind the great Dragon Project announced back in April 2018 that they were working with Disney on the development of a new game for smartphones. We’d later discover that the game would be called Disney Epic Quest and it would follow down the same RPG path as their last project. Although the game hasn’t come out officially yet, you can download and play it right now without any geographic restrictions. A virus has infected the Digital Kingdom and your mission is to stop the infection through combat. The story is basically an excuse to see a thousand and one Disney and Pixar characters coming together in battle. It’s an interesting mix that may remind you of the formula in Kingdom Hearts, but luckily in this case, it’s clear where the story is going. 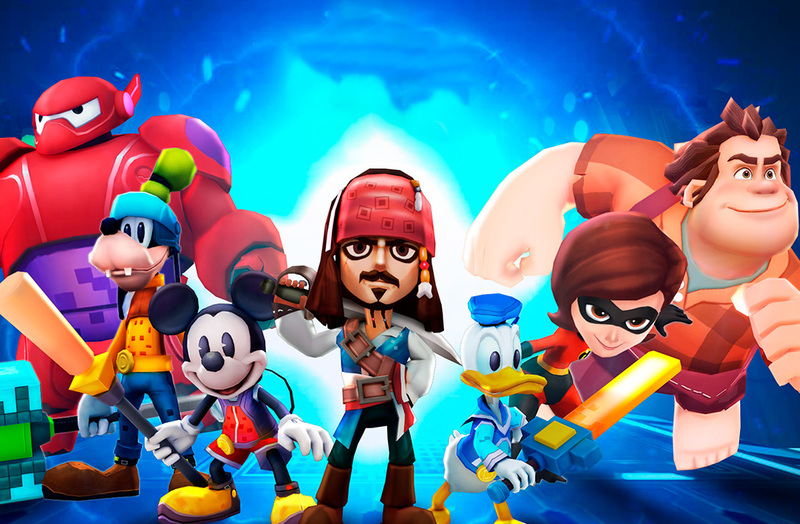 You start out the game with Jack Sparrow and Mickey Mouse, although soon, Wreck-It Ralph will join your team. This is just a small sample of the many Disney characters you’ll come across throughout this adventure. The game looks great, with a mix of original designs and super-deformed characters, but where the game really shines is the control system. You move around the setting with a virtual joystick found in the lower part of the screen, and you have different buttons to attack and use special abilities. You can change your character at any time, choosing between any of the three different ones on your team, and each one plays differently. Disney Epic Quest divides all the characters into four distinct classes so you can put together the best team possible: strength, speed, wisdom, and balance. 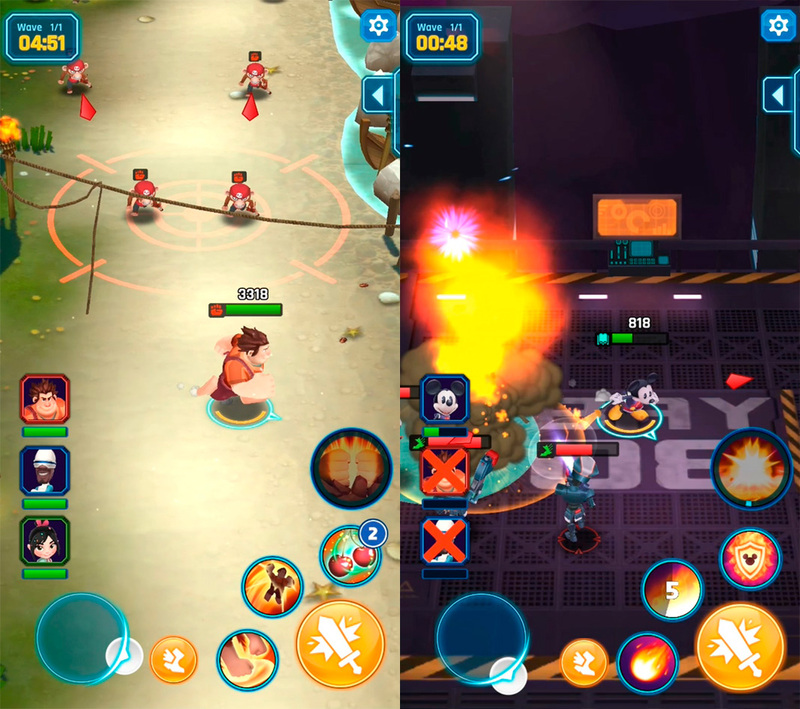 Your characters will level up as you complete the screens in the game and you can also improve the power of their skills. 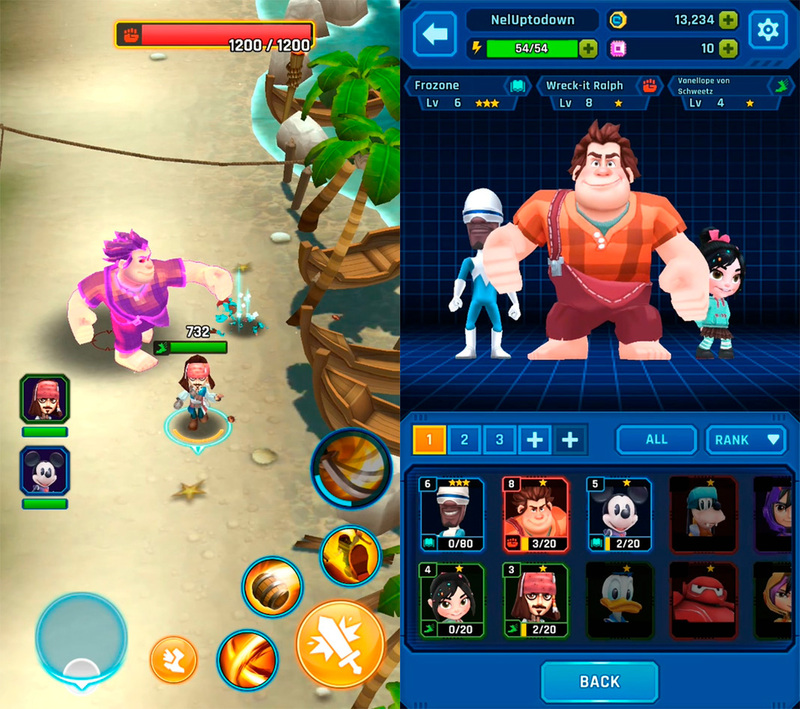 Disney Epic Quest uses the typical gacha system to get new characters through chests. You have an enormous selection to discover and best of all, the characters aren’t simply all the same: each one has its own animations, unique skills, and a design that’s up to par. It’s clear to see the love and attention put into this new game. It’s still a little soon to really give a fair assessment of Disney Epic Quest, considering it’s still missing some features that will be added once it comes out officially. But we can already enjoy the new title from goGame, and we couldn’t be happier with the results. 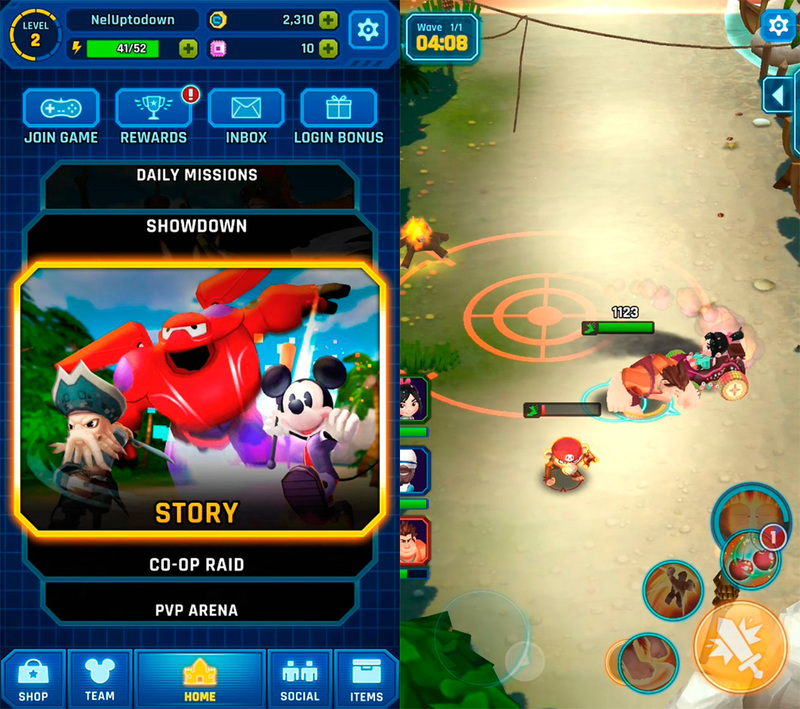 This is probably one of the best games with the Disney seal of approval that we’ve ever seen on mobile devices. Not only can you participate in an official campaign, you also have different game modes that extend the useful life of the game and that make you want to add more and more characters to your team.